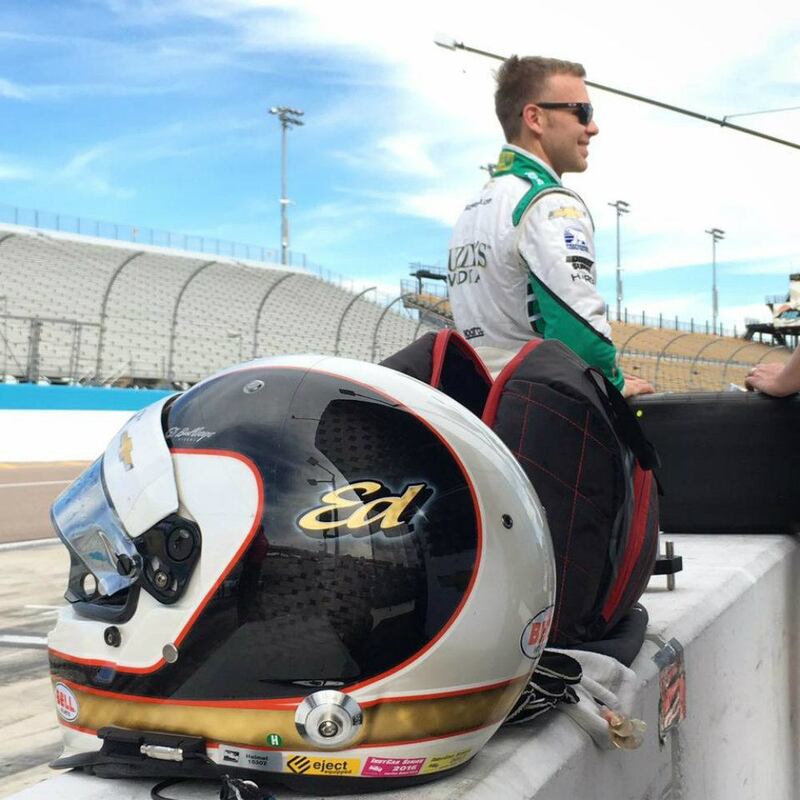 You can tell what Ed Carpenter looked like when he was say, 12: just like he looks now, only shorter. He’s one of those guys that always looks like a kid, and if he didn’t have a day’s growth of beard, you’d think he was a college sophomore. Healey knows him, so we walk right in, and I get introduced and shake. His hands are warm and papery and he clamps down like a flesh covered vice. It’s a hazard of the profession. All race car drivers have a grip strength somewhere right around the bite force of a crocodile. Carpenter is one of these odd throw-backs to what drivers were like 50 or 60 years ago. He is a local kid, born and raised in Speedway. He has the affect of a Mercury astronaut; quiet, personable, and gives you a feeling that you don’t have to scratch that deep to find a bottomless well of self confidence behind the wheel of a car. His smile is huge and genuine, and sort of reminds me of Mark Donohue; like an honest talking schoolboy who excelled at getting away with practical jokes. Carpenter is the nephew of the Georges (a branch of the track owning Hullman family) so yeah, that did give him a leg up, and opened more than a few doors. But that will only get you so far in the racing business. Sooner or later, you will have to produce, and Ed Carpenter did. “Oh good. We’re fine,” he said, and that’s what stops me hard. It’s the way he said “we’re fine,” that I notice. It was a simple and declarative statement, sort of like the response to his favorite color. I have noticed, over the years, there is one kind of driver to watch out for at the Indy 500. Usually, amidst all the hub-bub and noise, among all the racers that are going fast and being interviewed on TV, there will always be a few racers, and usually just one, up there at the front of the pack: head down, quietly going about their business, clocking lap after lap after lap, and doing it quickly. And with that simple “we’re fine,” I realized Ed Carpenter is that racer. I watch him and Healey chatting away as I think to myself, “shoot, this guy’s gonna win the whole thing, isn’t he?” There are no sure things in racing. Never. 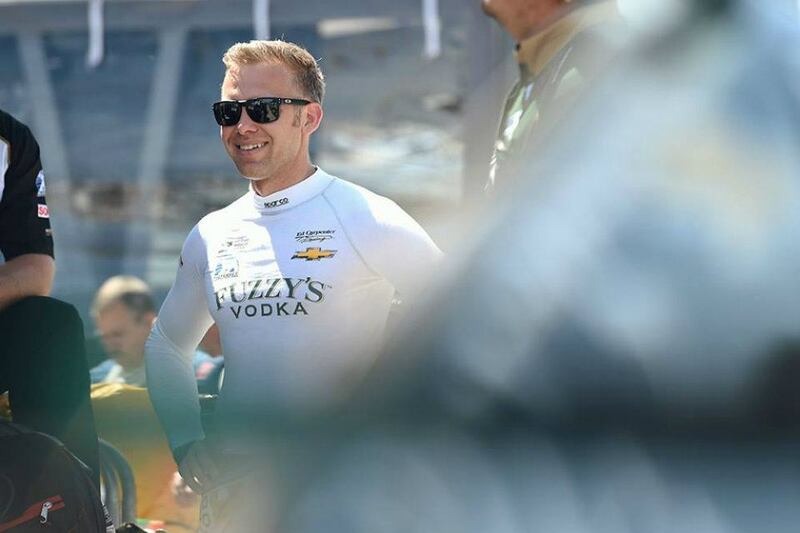 And although I would not bet, or say unequivocally that Ed Carpenter is going to win this thing, he is suddenly very much in my consciousness. Carpenter could win the Indy 500. He could do it, and it wouldn’t surprise me at all. 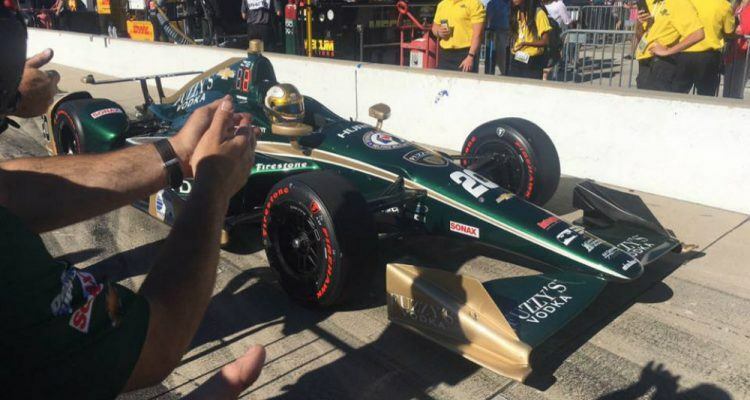 Cover Photo: Ed Carpenter Racing. 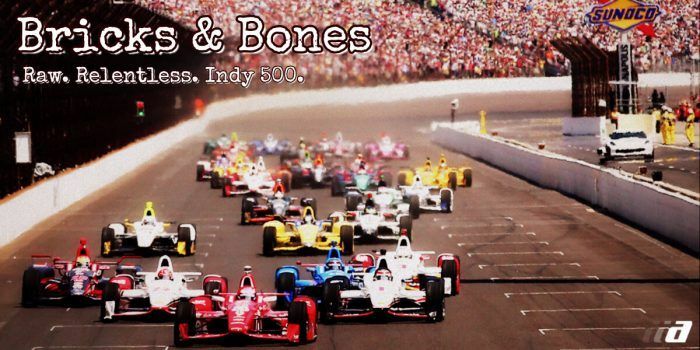 1 Comment on "Bricks And Bones: Chapter 3: The Quiet Racer"